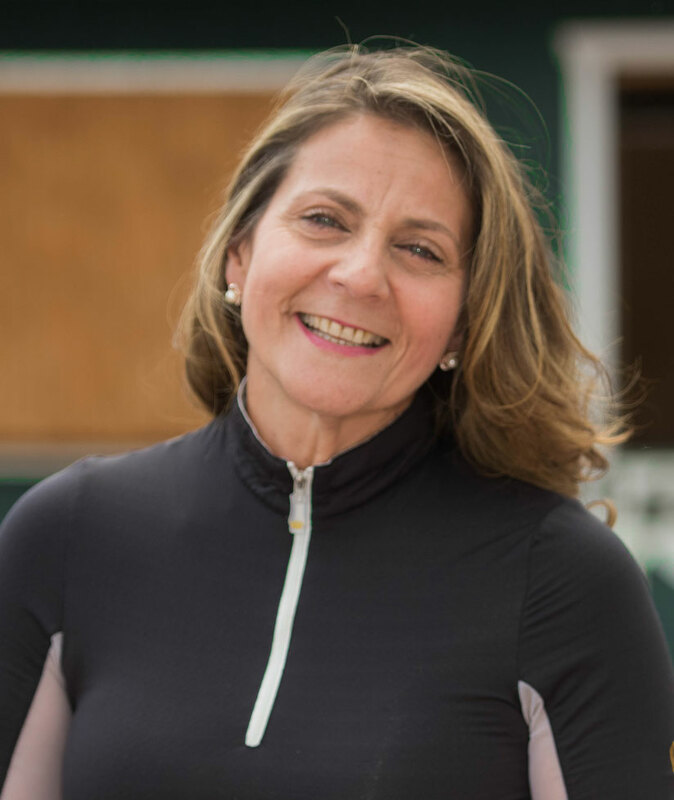 Anna Gassib, is known as an “entrepreneur, equestrian and empowering spirit.” She completed her studies at Carnegie Business Coaching, and holds certifications in Gestalt Equine Coaching Method and Equine Trauma, Gestalt, and personal coaching. She has a BA in Business from City University of New York, and MS in Behavioral Health and Traumatology. Her combined business and personal development expertise in these fields makes her the quintessential community change maker, helping women in transition change their economic and personal futures for the better. Anna worked many years as a senior executive at leading financial institutions including Bank of America, where she and others established Bank of America’s Women’s Entrepreneurial Group. She traded her high-profile career in finance for an entrepreneurial opportunity that combined her love of horses with her commitment to help others. In that spirit, she started Indian Hills Farm in 2004 with a single pony her backyard, which has since transformed into a successful equestrian center with two-fold missions to help build small businesses and to improve the quality of life for individuals in need of therapeutic intervention. Anna spent many years acquiring struggling stables and making them profitable again; most recently she assumed ownership of what was formerly the defunct Bergen Equestrian Center (BEC) at Overpeck County Park in Leonia and was able to turn it into a profitable business in her first year. Anna has since invested most of her attention to helping others. She established A Stable Life, a program that combines her skills as a life coach with equine therapy, in an effort to help people who are trying to find the correct path for their lives. Equine therapy has long been recognized as a meaningful and long-term approach to a variety of mental health and medical issues and has been known to “heal the soul,” an outcome close to Anna’s heart. Among the people served by A Stable Life are those struggling with addiction, domestic violence and sexual assault survivors, children with special needs, families who cope with mental illness and veterans who suffer from PTSD. Anna partners with organizations throughout Bergen County including Children’s Aid and Family Services, The Man of War Project for Veterans, Covenant House, Spring House and of course Women’s Rights Information Center. Helping others is a driving force in her life, and she works tirelessly to provide a complement of services that creates a positive path toward recovery and personal success.